One Radio Section, and one Wire Repair Section of the 176th Signal Repair Company, of the US Army, shipment No. 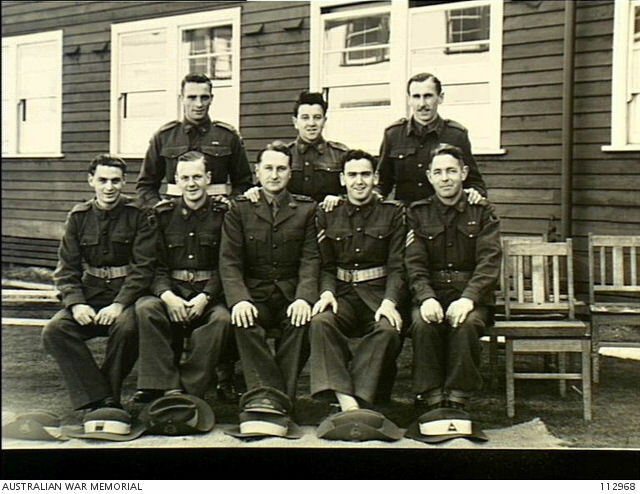 5691 J, consisting of 1 Officer, and 18 Enlisted Men were at a radio station at Albert Park, prior to the construction of the Albert Park Barracks and were redesignated as the 832nd Signal Service Company on 1 May 1942. They had a Private Line to another Radio Station at Moorabbin. After General Douglas MacArthur and his family arrived in Melbourne. Mrs MacArthur, Colonel Sidney Huff, Ah Cheu and young Arthur MacArthur IV would often spend time in Albert Park prior to the Albert Park Barracks being built. The 3 August 1942 edition of Life Magazine ran an article on Arthur titled "The General’s Son”. It indicated that Arthur attended kindergarten in the morning, had lunch with his mother, and then they would visit Albert Park, or the Melbourne Zoo or go shopping. One of Arthur’s early acquisitions in Melbourne was a tricycle, which he would ride in Albert Park. MELBOURNE. Friday.--- Equal in size almost to Victoria Barracks on St. Kilda Road, a giant new Services barracks to accommodate thousands of personnel of the Army, Air Force and Navy is being built at Albert Park. The barracks will cover 20 acres of a 40-acre site when the full plan is completed. The total cost will be more than £250,000, although the buildings will be of the most economical type of construction. 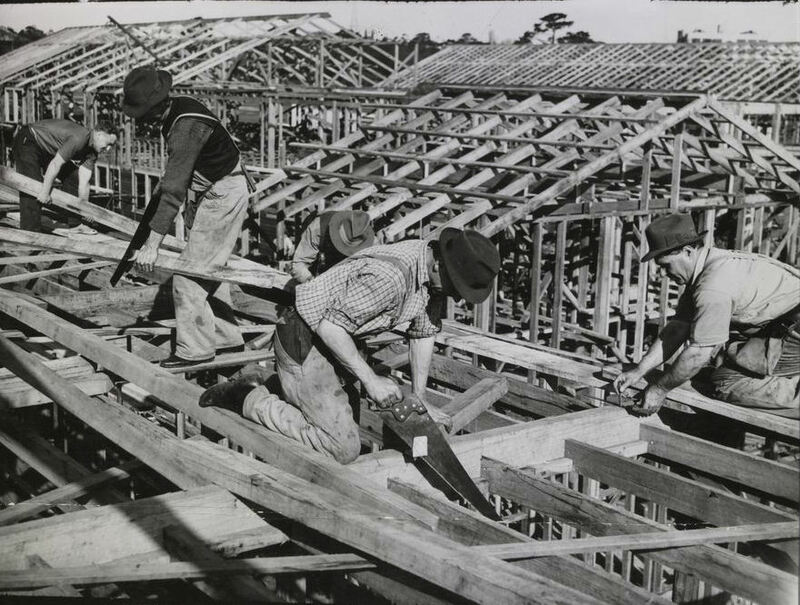 Albert Park Barracks was built by the Allied Works Council in two stages. The works were carried out under the instruction of the Engineer Services Branch of the Australian Army. The first stage comprised 7 large buildings, 5 of them for the Australian Army and 2 for the RAAF. The second stage comprised 8 buildings, 4 for the RAAF, 3 for the Navy and 1 for the Army. The Military were able to vacate Wesley College and Melbourne Grammar once Stage 1 of the Albert Park Barracks was completed and return them for school use. The military also were able to vacate the Deaf, Dumb and Blind Institute building. The Master- General of the Ordnance Branch or MGO Branch of Land Headquarters LHQ relocated from Wesley College to Albert Park Barracks in January 1944. Once Stage 2 of Albert Park Barracks was completed, the pupils of Melbourne Boy's High School at South Yarra and Merton Hall were able to reoccupy their schools. Navy Office Staff had occupied Melbourne Boy's High School. "Twelve two-story buildings, each 342 x 42 feet, have been erected, providing 323,000 square feet of office space. In addition there is a large canteen building." "An automatic telephone exchange, capable of providing 1,000 extensions, has been included and installed by the Post Master General's Department." The entry gate near Fitzroy Street to Albert Park Barracks was reopened at some stage, possibly in 1944. The Department of the Army was located at Albert Park Barracks. Central Army Records Office CARO also had an office at Albert Park Barracks. Section RO4 of the Directorate of Signals was responsible for the compilation, printing and distribution of all secret and confidential codes and cyphers. Section RO4 was initially based at Victoria Barracks in St. Kilda Road, Melbourne. Section RO4 later moved to a new building at the Albert Park Barracks. The Navy Department had an office at Albert Park Barracks during WWII. The Navy Office outgrew its premises in St. Kilda Road and relocated to Albert Park Barracks along with signals, communications, recruiting and mobilisation units along with surplus staff including civilians. Naval communications and signals units moved out of Forrest Hills High School to move to Albert Park Barracks. The Director of Engineering (N) Branch transferred from Victoria Barracks to Albert Park Barracks at an unknown date, possibly located in "F" Block. 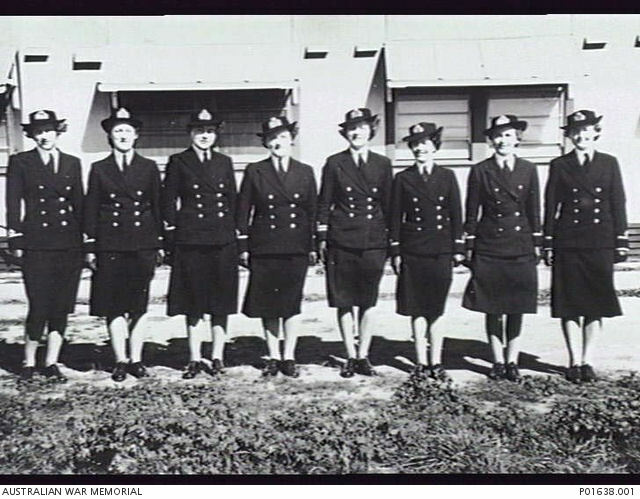 Members of the Women's Royal Naval Service WRANS were accommodated at Albert Park Barracks. 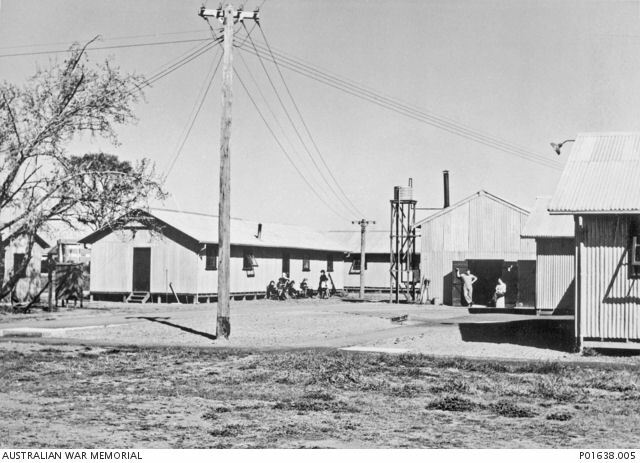 Fleet Radio Unit, Melbourne FRUMEL started operating in Victoria Barracks for a short while and moved to Monterey Flats where they remained until late 1944 when a more suitable operating building, "S" Block, was constructed by the Australian Commonwealth Naval Board ACNB in nearby Albert Park. The size of their machine room doubled when they moved to Albert Park. They had 10 keypunchers and three IBM Tabulators. Approximately 50 RAN personnel and 15 US Navy staff kept the IBM operation going 24 hours a day. The RAAF had an Officers Mess and a Sergeant's Mess at Albert Park Barracks. The WAAAFs also had barracks there. The RAAF had a Signals Section at Albert Park Barracks. Air Force Headquarters, Air Board, RAAF was located at Albert Park Barracks. Squadron Leader L. N. Kroll of the Directorate of Air Force Intelligence was based at Albert Park. RAAF Training Command was located at Albert Park Barracks. Group Captain Charles Read was Staff Officer Air Training. In September 1943, schoolboys stole a number of small "cannon" cartridges from a U.S. Army Camp at Albert Park. Twelve of the cartridges were recovered. Some of the recovered ones had the bullets taken out of their shells. One boy took a number of cartridges to school and handed them around to his mates. In August 1944, two girls evaded guards at a Detention Camp in Albert Park and gave a coat and trousers bought at a second hand shop to a U.S. Sailor who subsequently escaped from the barbed wire enclosure of the Detention Camp. The girls were later discovered in a room at Windsor with two US Navy deserters. The British Royal Navy moved into Albert Park Barracks on Monday 8 January 1945 after spending a few weeks in Barracks at Heyington Place, Toorak. They were Staff Officers of the advance element of the British Pacific Fleet. They also used some of the large buildings for RN administration. 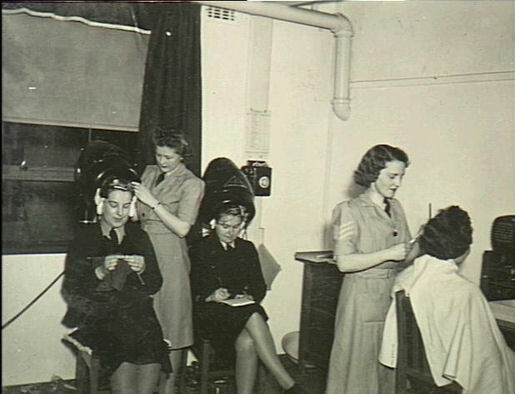 They retained the premises at Toorak which were converted into sleeping quarters for members of the WRNS who performed clerical duties at Albert Park. Joyce Stapleford (later Joyce Tann) was one of the WRNS who initially lived at 260 Domain Road, South Yarra in late 1944 and then relocated to Albert Park Barracks where she lived in Nissan Hurts. The Minister for the Army inspected the old Engineers Depot at the southern end of Albert Park on Sunday 18 May 1947 before determining whether the old camp site should be removed. The Minister of Public Works, Mr. Kennelly, the Chair of the Albert Park Trustees had requested its return to the Trustees.